The Luxor Vertical wall/desk Charging Box is an inexpensive, pre-assembled unit that can be solidly mounted to a variety of surfaces. 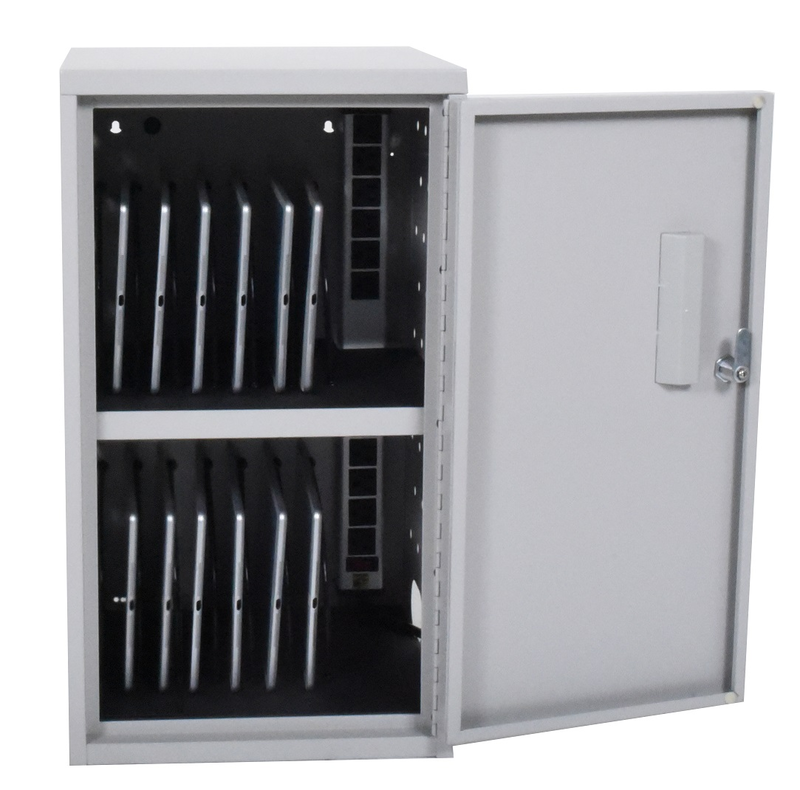 A Vertical Charging Box will conserve space while securely locking and charging laptops, tablets, or Chromebooks. 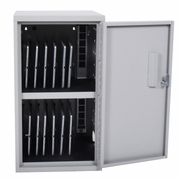 Available with 12 or 16 Device slots for Tablets/Laptops. Holds up to 12 or 16 Tablet/Laptops.